In the book, Maria – Pope Benedict XVI on the Mother of God, the Holy Father collects many of his homilies, speeches, and prayers together along with many great photos of his early travels in his Pontificate. It’s a great book for any home library, but it’s really set up as a coffee table book. The photos are quite amazing and inspiring to view. Since Saturday was The Memorial of the Immaculate Heart of Blessed Virgin Mary, I would like to share Pope Benedict XVI prayer before the Marian column in St. Stephan’s Cathedral in Vienna on September 7, 2007. “How many persons, over the years, have stood before this column and lifted their gaze to Mary in prayer! How many have experienced in times of trouble the power of intercession! Our Christian hope includes much more than the mere fulfillment of our wishes and desires, great or small. 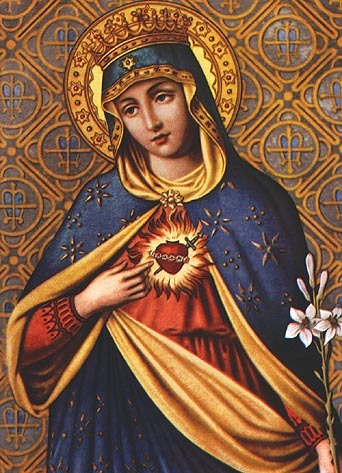 We turn out gaze to Mary, because she points out to us the great hope to which we have been called (cf. Eph 1:18), because she personifies our true humanity! This is what we have just heard in the biblical reading: even before the creation of the word, God chose us in Christ. From eternity he has known and loved each one of us! And why did he choose us? To be holy and immaculate before him in love! This is no impossible task: in Christ he has already brought it to fulfillment. We have been redeemed! By virtue of our communion with the Risen Christ, God has blessed us with every spiritual blessing. Let us open our hearts; let us accept this precious legacy! Then we will be able to sing together with Mary, the praises of his glorious grace. And if we continue to bring our everyday concerns to the immaculate Mother of Christ, she will help us to open our little hopes ever more fully towards that great and true hope which gives meaning to our lives and is able to fill us with a deep and imperishable joy. Holy Mary, Immaculate Mother of our Lord Jesus Christ, in you God has given us the model of the Church and of genuine humanity. To you I entrust the country of Austria and its people. Help all of us to follow your example and to direct our lives completely God! Grant that, by looking to Christ, we may become ever more like him: true children of God! Then we too, filled with every spiritual blessing, will be able to conform ourselves more fully to his will and to become instruments of his peace for Austria, Europe, and the world. Amen. I think many people are under the assumption that our current Pope does not have a devotion to the Blessed Mother as Blessed John Paul II had, but they would be sadly mistaken since our Holy Father has great hope in Mary that she will lead us all closer to our Lord Jesus Christ. 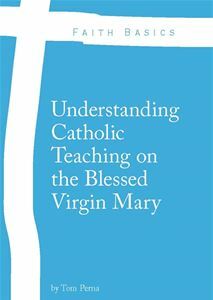 A major role of our Blessed Mother in Salvation History and in the Kingdom of God, which we are currently in and a part of, is to bring us closer to Jesus. She is the loving mother who brings her children to the King. Let us always be open to having a relationship with the Immaculate Mother of God. Shared this on Catholic Pinterest, Tom.